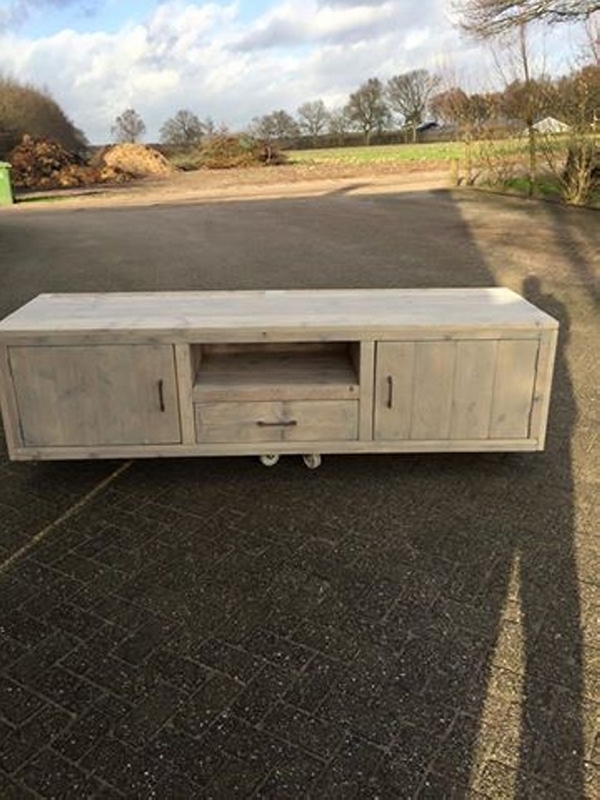 This steigerhouten TV console is certainly a new thing in our entire range. We have gone all the miles in the pursuance of your desired furniture articles and we have recycled them with pallet wood just for you. We have already made multiple TV stands for you which have proved to be an immensely supportive furniture article in your practical life. But this sort of pallet TV console would be a new experience for all of us. 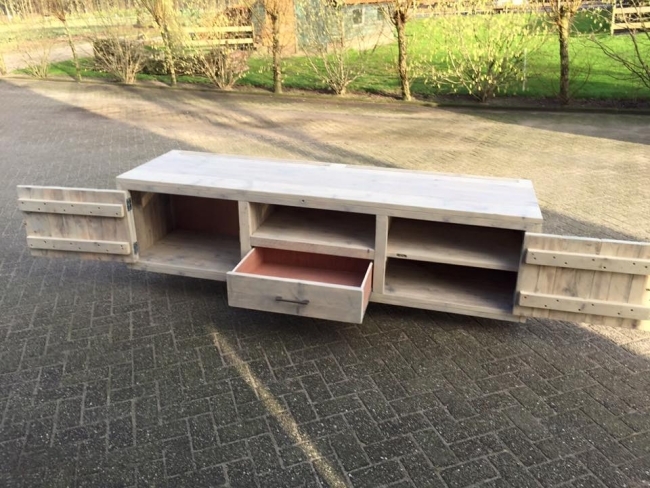 As you all know that pallet creations are the main theme of our website, so we always bring you some purely pallet wood based furniture items for you guys. A pallet TV console is one of the best and safest installation for your home which enables you to ensure the security and safety of your expensive device. 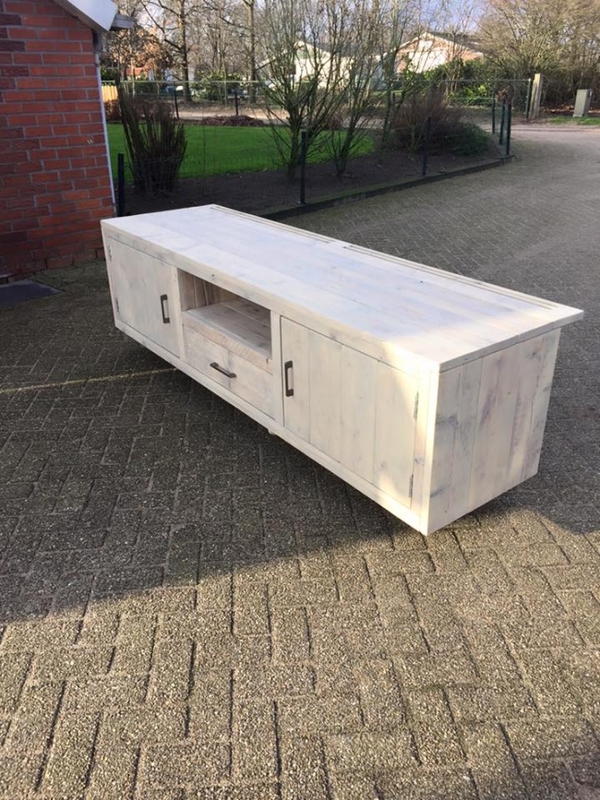 Pallet steigerhouten TV console that we have decide to recycle today is something exclusively new. This console would provide you with plenty of extra space which you can use for multiple tasks, like you can use it as a full fledged wooden cabinet. And you can place a number of TV related accessories along with many other accessories inside the available drawers. Just having a glimpse of this pallet TV console would entice you to get this one for your home interior. It has multiple drawers right below the flat surface on the top. You can place your TV set on the top and the rest of spaces could be used to place some accessories that you find suitable. Like you can put in your huge DVD collection, TV remote, other cassettes, and even you can preserve here some valuables inside the locked drawers. Better if you leave it unstained, but you have also got the option to stain it matching with your room interior.